The man who turned a popular California hamburger stand into the McDonald’s global fast-food empire is having a posthumous Hollywood moment. 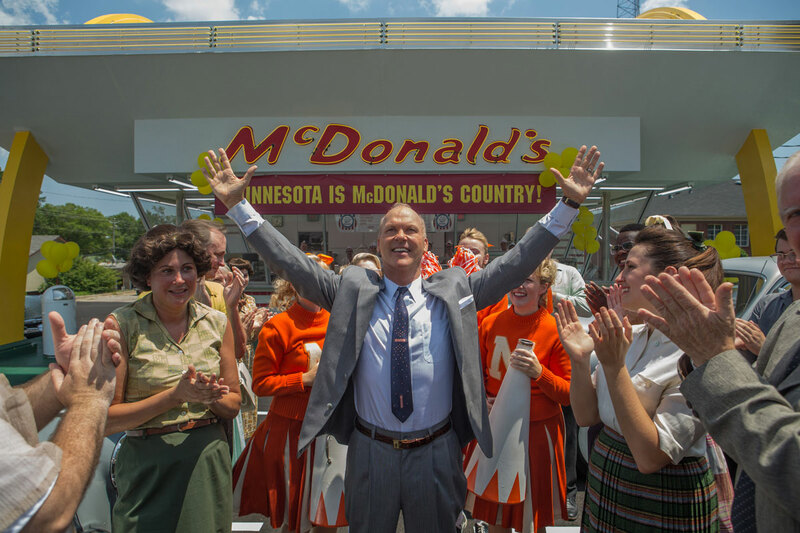 Michael Keaton plays Ray Kroc, a hard-drinking, somewhat desperate middle-aged milkshake equipment salesman who 60 years ago out-hustled the McDonald brothers to gain control of their namesake brand in “The Founder,” which is opening in U.S. movie theaters on Friday. Kroc, who died in 1984, convinced Richard and Maurice McDonald to let him franchise their clean, quick-service restaurants that helped end the U.S. carhop era. He then wrested so much control over the brand that the brothers agreed to be bought out in 1961 for $2.7 million. “Keaton is good at that oily charm,” Siegel told Reuters. The McDonald brothers’ survivors, who struck a rights deal with the film’s producers, have made that charge. However, it was not confirmed by other sources or in media interviews with the brothers themselves, whose major complaint appeared to be Kroc’s appropriation of the McDonald’s founder title. McDonald’s Corp declined comment on the issue. “The Founder” arrives on screens on the heels of “Ray & Joan: The Man Who Made the McDonald’s Fortune,” a 2016 book by journalist Lisa Napoli that turns the spotlight on Kroc’s third wife. Joan Kroc, who died in 2003, lived lavishly while using Kroc’s billion-dollar fortune to promote causes sure to have sent her husband, a pro-business conservative who supported U.S. President Richard Nixon, spinning in his grave. The book traces their tumultuous relationship, which blossomed through a mutual love of music and business. But Napoli says it was Ray’s unwavering devotion to bargain-barrel “Early Times” whiskey that fueled both conflict in the marriage and aspects of Joan’s charitable giving. In keeping with the times, Joan did not speak openly about Ray’s drinking, which “doesn’t square well with the mythology of McDonald’s,” Napoli said. “She couldn’t get him to quit, so she helped other people like herself to deal with people who drink,” Napoli said.